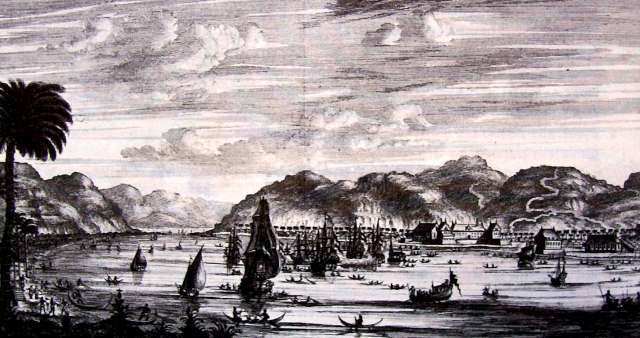 This print from Schouten depicts the VOC fleet for the expedition against Makassar taking shape in the bay. In the background we see castle Victoria. Categories: Ambon, Makassar, Victoria, Schouten.